Quite often, after you have received the printed copies of your book, you will notice that the colours in it (or on the cover) are quite different from those you saw on the screen while the book was being developed. This is because the colour schemes used in each case – the computer screen and the printer’s ink – are vastly different in their composition and, consequently, appearance. The two colour schemes are RGB (Red, Green and Blue), used for depicting colour on the computer screen (the pixels have little subpixels that just show red, green or blue in different ‘doses’), and CMYK (Cyan, Magenta, Yellow and Black; the K actually stands for key, which was what the black colour denoted), a combination of ink amounts that produces a certain colour. A little more technical detail for those who might care: RGB colours are also known as “additive colour”, because there are no colours to begin with, and the colours are added together to achieve further colour combinations, or until the outcome is white. On the other hand, CMYK colours are subtractive – it starts with all colours (which combine to form black) and as colours are subtracted incrementally, the outcome gradually veers towards white. What must be noted is that the colour gamut in case of the RGB palette is a much larger one when compared to the CMYK palette. Care must be therefore taken to ensure that, while designing printed material, the CMYK palette is used so that printing can actually happen with the right colours. In most software, the default mode is RGB, so if you are designing a printed brochure, for example, you must ensure that you switch to the CMYK colour palette. So, rule of thumb: CMYK for print jobs, and RGB for web-based graphics. While the concept has been around for quite some time, crowdfunding hasn’t been taken quite seriously as a means to fund self-published books. This article examines various crowd-funding options that an author could consider while gathering the money required to self-publish a book. All or Nothing: In particular, while choosing a platform on which to raise funds, do pay attention to the all-or-nothing policy. While starting a campaign you are required to state the amount you wish to raise. Platforms that adhere to the all-or-nothing policy will not pay you if you do not raise this amount. That means, for example, if you have stated a goal of Rs. 10,000/- and you manage to raise only 7,500/-, you will not get that amount and it will be refunded to those who have contributed to your cause. In this case you will have to raise Rs. 10,000/- or more to be able to avail of the funds. Campaign: A campaign is a call for funds. Many platforms do not allow an infinite duration for campaigns i.e. you are allowed to display your request for funds only for a limited period of time. This limit varies with each platform. A successful campaign implies that the targeted amount of funds are raised. Crowdfunding: It is an electronically-abled process where people pitch in with small amounts of money to help you reach your stated goal of funds. So, if you wish to publish your book and you are short by Rs. 10,000/- to meet your expenses, crowdfunding is a good route to employ to meet the shortage. Depending on how you pitch your idea, i.e. tell people about your book and how you will use the money you raise, various people will put in small amounts of money to help you raise the 10,000/- you need. Rewards: Since equity-based crowdfunding, where your funders are entitled to a stake in your project, is not legal in India, it is suggested that you “reward” those who have funded you. Rewards could be related to your project. For example, depending on how much they have funded, you could give them one or more copies of your book for free or at a substantial discount, or you could reward them with a bookmark or some such thing. 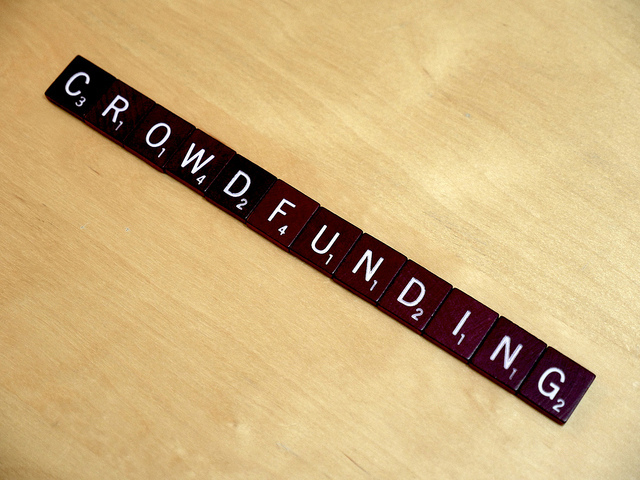 Crowdfunding has not matured in India as much as it is in the West. There is also some ambiguity as regards its legal standing. Read this link for more information on this topic and issues to consider. That said, it has been successfully employed by many individuals and organizations as can be understood by the “success stories” promoted on each platform. Please note that these are all independent sites and the information gathered here is mostly gleaned from their websites. We have not worked with any of them. If you wish to engage the services of any of them, we advise you to investigate the service yourself for the fine print. Similarly, this list is not an exhaustive one. Companies whose websites were not clear on certain points were not listed here. See a longer list here [the website needs registration]. The services are listed here in alphabetical order. The order does not suggest any preference for any service provider over another.As stated above, this list does not cover all crowdfunding websites that are operational in India, especially those that are geared towards disbursing micro loans for rural entrepreneurs, such as Milaap and Rang De. They may, however, be investigated to see if it works for your book. We suggest you view the FAQs page on each website and/or contact them to clarify all doubts you may have. Many platforms charge a fee so it is better to have all your doubts cleared before you launch a campaign. Ask how funds will be transferred, whether you will be able to accept funds into an Indian account, what taxes are deducted and what will be the nature of any other charges imposed. Also ask if international donors will be able to contribute to your project. How it Works: This platform is unique in that it allows you to design a t-shirt and sell it in order to raise funds for your project. The platform will design the t-shirt for you, facilitate its sale and produce and deliver them to those who have bought it. You will be given a base price which should be equal to or less than the selling price you decide for each t-shirt. At the end of the campaign, should you meet your sales goals, you will receive the difference between base and selling price times the number of t-shirts sold. All or Nothing: The platform adheres to the all-or-nothing policy. Duration of campaign: A fixed duration of 5 and 21 days is allowed for the campaign, although the campaign can be sometimes extended at the platform’s discretion. Fees: The platform charges 10% of the funds raised. How it Works: The process begins when you submit a campaign for approval. After approval your campaign goes “live” and you can begin directing potential donors to the website so that contributions can be made. All or Nothing: The platform offers the choice of two options, one adhering to the all-or-nothing principle and the other to what they have called a “flexible funding model” which allows you access to the funds raised even if you do not meet your goal. Duration of campaign: This platform does not insist on a fixed duration for your campaign although it is recommended that you keep your “project open for a period between 30 and 60 days”. Fees: There is no mention of any charges on the website, whether or not the campaign is successful. Do contact them for more details. How it Works: You go through a sign-up process during which you have to provide all details related to the project, including the amount you wish to raise. The project must then be approved before you can launch the campaign. During the sign-up process you will be required to submit a marketing plan as well as short video pitching your idea. Be prepared with these so you can proceed smoothly through this sign-up process. The website expressly states that foreign donors will be able to contribute to the campaign. All or Nothing: The platform adheres to the all-or-nothing policy. If the entire amount is not raised the funders are reimbursed their money less a small charge. Duration of campaign: A fixed duration of 60 days is allowed for the campaign. Fees: An upfront non-refundable fee of Rs. 2,500, plus 12.5% Service Tax, is charged as soon the campaign request is approved. Cancellations after approval are not allowed. In addition, a transaction fee of 10% of the funds raised on the platform, plus 12.5% Service Tax (on the 10%), is charged. In addition, to the afore-mentioned platforms, all of which are based in India, there are also others based abroad that you could use to fund your book. Prominent among them are Kickstarter and Indiegogo, which are used primarily for creative endeavours. In addition, there is Pubslush, which has tailored its services to meet the needs of authors and publishers. In the case of these websites, factor in the cost of shipping and postage while deciding your rewards. Also make sure your book appeals to an international audience. We hope this primer will provide you with some food for thought as you think of ways to fund your book. Remember that crowdfunding is in itself a lot of work because once you have launched a campaign, it will be visible only for a finite period of time, during which you need to make sure that it is known to as many people as possible so that they can fund it. You have to therefore work your contacts, email them and urge them on Facebook and other such platforms to visit your campaign and donate to it if it appeals to them. A half-hearted campaign will be of no use to you. Many author, unaware of the potential of self-publishing, as also of its demands, harbour notions that may render the entire self-publishing experience an unpleasant one for them. This post is to dispel some of those notions. 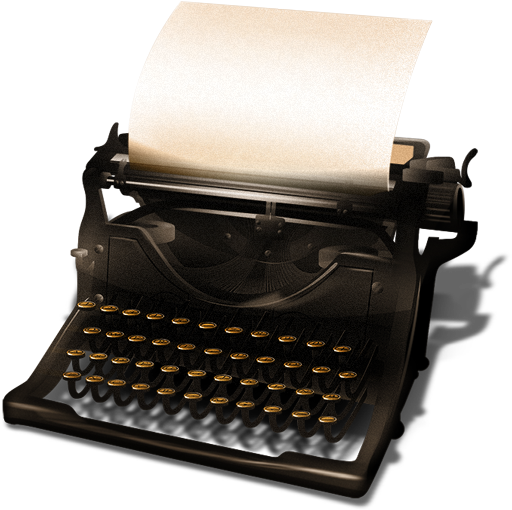 a. Self-publishing is a free-for-all platform where rules do not apply. Nothing could be farther from the truth. In fact, the intense scrutiny that self-published authors and books are subjected to necessitates that the generally accepted rules of publishing should be followed even more diligently. The book should therefore be properly edited, it should be nicely presented, and laws relating to copyright issues should be followed. Like in the traditional mode of publishing, it is not advisable to cut corners while self-publishing too. So get your cover professionally designed, if you must. There are many service providers who offer a wide selection of self-publishing services, even promise instant books. It helps the author to know what services are being purchased, what will be delivered in each case and what is required from the author to ensure that a good book is published. An author who stays away from the process and cares little about how the book progresses is almost sure to be disappointed by the end result. The author would do well to think of the whole self-publishing process as an investment that must be carefully nurtured and monitored to ensure that the product, the book, is well produced, and that the money is well spent. Chances are they won’t – if they have not heard of it, if it doesn’t look appealing and if it is not easily accessible. Many authors shy away, or are downright dismissive, of their marketing duties. With so many books published these days, it is important for the author to do everything in her power to ensure that those who might read the book know about it. 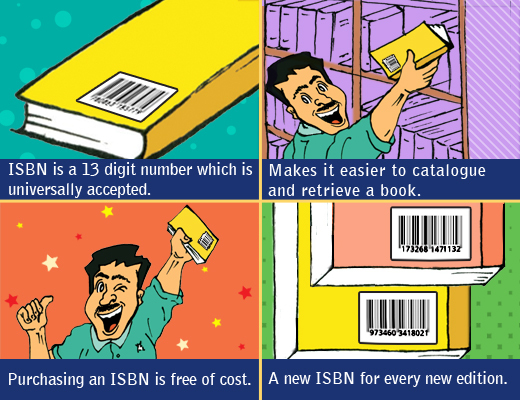 This is not to be confused with peddling the book, which can be done through retail outlets, whether online or offline. However, the author is almost always expected to market the book aggressively, whether through online forums or by ensuring that the book has sufficient exposure in the local press and in circles frequented by the readers of the book. This follows from the earlier point, and is usually a method employed by authors who are either shy of speaking about their book or by those who feel that it is beneath them to speak about it. It is important to understand that few will speak about your book as passionately as you will. So why leave it to someone else to do what you can do best? Besides, publicity agents will have many projects on their hand, just one of which is your book. They will have to divide their resources among these many projects and devoting more resources towards the publicity of your book will cost you more. Moreover, your book should communicated to your readers not in one burst, but in many small messages spread over a period of time. That only you can do. Many authors calculate how much they have spent on the book, and divide that number by the number of copies they have printed to arrive at the price of the book. Others factor in a huge royalty payment into the book’s retail price. Such impatience in attempting to recoup the costs of publishing can only backfire on the author. With public opinion already loaded against the self-published book, and the print-on-demand model already adding to high costs, any attempt to further increase the price will only alienate retailers and buyers alike. A more prudent approach would be to build a readership around the book and allow more copies to sell. An author is advised to take the self-publishing process seriously, and ensure that everything that can be done to deliver a good book to the reader is done. Such an effort will ultimately pay off and ensure that the book is a roaring success. Many entrepreneurs have entertained the idea of writing a book, whether to share their expertise, to narrate their experiences of setting up a business, to establish the company’s brand, or to mentor others who are venturing into businesses of their own. After they have written their book, however, they are faced with the choices of either approaching a publisher and getting the book published by a reputed, traditional publisher, or of publishing the book themselves i.e. resorting to self-publishing. The latter approach, that of self-publishing, previously frowned upon as an exercise in vanity, is rapidly finding acceptance among many authors. Self-publishing makes it possible for the author to remain engaged with the publishing process, understand the costs of publishing and arrive on a price that will find resonance with the market. There are challenges too, as the author is often expected to play a major role in marketing the book to its target audience. With no publisher and book publicist to take care of marketing and publicity, it is left to the author to ensure that there is wide awareness of the book and that the book is accessible to anyone who wishes to buy it. The market for such business books is almost well defined and so are the “access points” for such a market. The smart author will be able to identify these access points and make information about the book available there. A well-networked author will also be able to use help from friends and peers in the industry to ensure that the book is widely known among people who might be interested in it. This makes self-publishing the more attractive option for the entrepreneur-author. The process is self-funded, yet can be paced to ensure that the book is published according the author’s convenience and budget. Every aspect of the book, whether its cover, price or distribution channel is arrived at only after considering the author’s inputs. This makes it easier for the author to develop a sound marketing plan that utilizes all available options. Often people fail to understand the difference between a preface and a prologue, most of the time interchanging the former with the latter. It is important to have all components of the book in place so that the story flows smoothly, especially the matter which builds up curiosity about the story – Preface/Prologue. Preface comes from the Latin word ‘prae’ and ‘fatia’ which means ‘spoken before’. 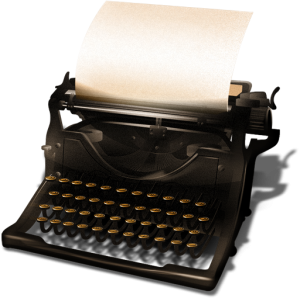 A preface is a personal account of events or experiences that made the author pen down the story. It also includes the time frame involved, amount of research done and in some cases thanking the people who helped the author during the entire process. A preface is usually of one page and it is advisable not to exceed it beyond two pages as it tends to irritate the readers. The preface is often signed by the author along with the date and place. 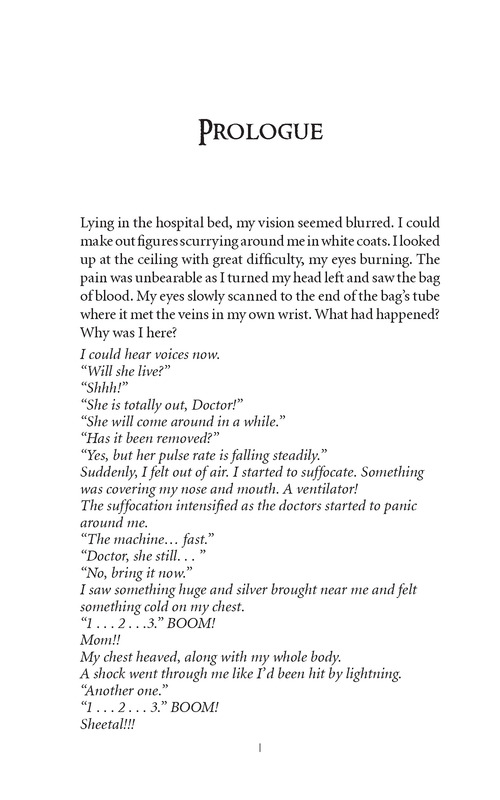 Prologue from the book, Are You Scared? by Mohamed Riaz. 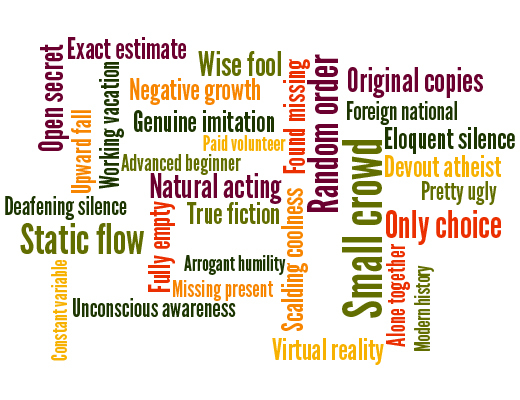 builds up the story, narrated by the protagonist or an omniscient narrator. The prologue later ties up with the main story; it also provides additional information about the characters or clues about the storyline which helps to set the pace for the main story. A prologue is a part of the main story, unlike the preface. Usually a book carries either of the two but in some cases the author may decide to include both. The preface and the prologue both, tend to affect the readability of the entire book and hence, the author has to be careful he does not confuse the two. There are many components that go into the making of a book, apart from the main storyline. 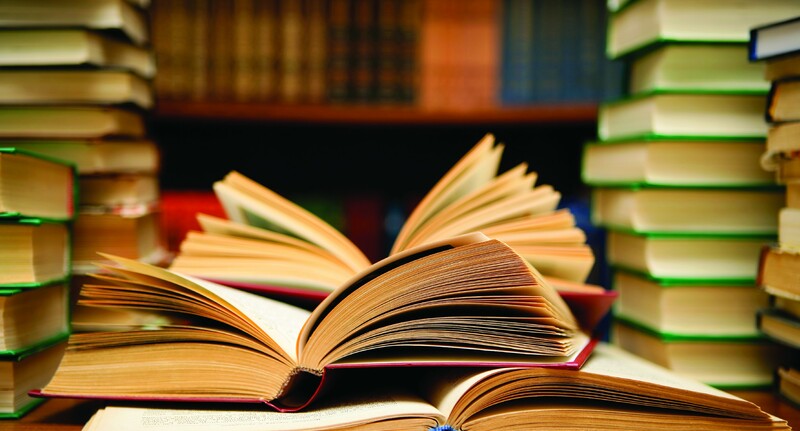 The main body of the book is usually preceded by a few introductory sections, which introduce the subject of the book and set the tone for further reading. Most authors also like to end the story with a concluding chapter or an epilogue. In addition, the author may wish to include an Acknowledgements section, a Dedication, an Epigraph, a postscript and so on. While the latter may be seen more as superfluous trimmings, especially with non-fiction books, and not particularly crucial to the book’s core, the introductory sections, usually including the Foreword, the Preface and the Introduction, are seen as an integral part of the book and a well written and complete manuscript is one that has all these elements in place. Each of these sections play a vital role in the critical and financial success of the book. Without them, the book is incomplete, and not giving the readers their money’s worth. However, establishing a clear, comfortable entry into the book, whether done at the beginning of the project or at the end, is a challenge to most authors and they have found that they often need to take several runs at figuring out how they want to introduce their books. This is partly the result of some confusion over what goes into the Foreword, Preface, and Introduction. Here are some definitions and descriptions – supported by most editors and publishers, which will help you introduce your book to your readers better and also establish your credibility as an author. The Foreword is most often written by someone other than the author: an expert in the field or a writer of a similar genre. It shows the reader why he should read the book. It introduces the reader to the author, as well as the book itself, and attempts to establish credibility for both. A foreword does not generally provide the reader any extra specific information about the book’s subject. This can be done by the author of the book in the preface and the introduction. The foreword of a book is a major selling tool for the book. If written properly, and by the appropriate person for the job, the book and the author will gain a lot of credibility in the reader’s eyes. Also, an opening statement by an eminent and well-published author helps in pitching the book to book stores. In other words, they put a stamp of approval on the author’s work. The preface is a place for the book’s author to tell the reader how this book came into being, and why. It should be used to build credibility for the author, indicating their experience in the topic or their professional suitability to address such a topic. The preface is very similar to the foreword, except that the preface is written by the book’s author. The preface is also an important selling tool for the book. 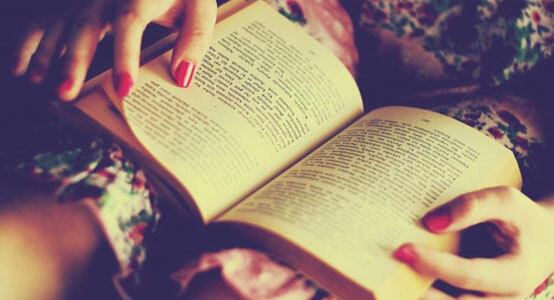 The author should use it to show the reader that the book is worth reading. Some authors may also acknowledge those who inspired them or helped them (though these are often put into a separate Acknowledgements section). The introduction introduces the material that is covered in the book. Here the author can set the stage for the reader, and prepare them for what can be expected from reading the book. It introduces what is covered in the book. Other times it familiarises the reader with the overall theme of the book, or establishes a base for definitions and methodology that will be used throughout the book. The introduction is a way for the author to grab the reader’s attention, and intensify his desire to find out more. Scholarly writers sometimes use the introduction to tell their readers how the book should be viewed academically. Some authors choose to have a prologue instead of an introduction. A prologue is an act, scene, event, or development that precedes the main action of the book. Alternately it could be a pivotal moment within the action. 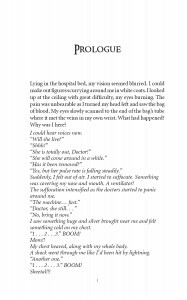 A prologue must be complemented with an epilogue, which occurs at the end of the book, and usually provides a glance into the future lives of the protagonists. Prologues and epilogues are to be used only for works of fiction. Each of these sections is clearly different, and performs a specific function in the book. It is hence imperative to understand the basic differences between the three, before you attempt to write them down. A well written Foreword, Preface and Introduction should be able to interest the public in buying and reading the rest of your book, explain to your readers why you wrote this book, how it is to be viewed and the details of what it covers. One of the last items on the book publishing to-do list is to create the Acknowledgement Page – the ‘Thank You’s to the team that assisted you in creating your masterpiece. Your family, friends and colleagues who supported you and encouraged you through the process. Your sources who may have carried out research, interviews or surveys for inclusion in the book. 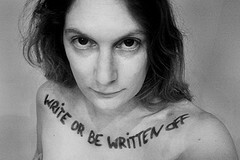 Or someone who penned down a foreword for your book or provided you with their expertise in the publishing industry. These are the people who got you here. Don’t ignore them. An Acknowledgement Page is the place where you have the opportunity to thank them publicly and give them credit for their contribution to your book. It’s a way to display your appreciation for their assistance and support and to let your readers know who was on your team. Acknowledgements are also one of the few places in a book where an author can break out of their fictional world and address readers in their own voice. This is something a lot more powerful than most authors realize. While the text is supposed to be the most important thing, and the biographical details of a writer’s life should be incidental to the reading experience, the acknowledgement pages can have a subtle effect on the way readers perceive a book. This is because readers can’t help but slightly judge an author by the way they acknowledge their debts: too effusive and they seem a bit needy and try-hard; too brief and you run the risk of appearing cold and dismissive. It is a difficult line to tread. There was a time when acknowledgements were brief and rare, and only dedications sufficed. Case in point being, Charlotte Brontë’s Jane Eyre which was signed off to fellow author, Thackeray, plain and simple; as also Anne Brontë’s Agnes Grey, offering no dedication at all. But even though novels went along for more than a century without them, acknowledgements have now become an expected part of a novel’s presentation. Everyone reads the acknowledgements. In fact, for many readers, it is the first thing they do once they pull a book off the store shelf. While the aspiring writers among them might be searching for the agent or the editor they could partner with, friends and family might be seeking their own name in the list. Most readers, though, do it for the drama and the human story revealed therein. Who goes into the acknowledgements of a book and who a book is dedicated to are entirely personal decisions of the author. Over the course of a writer learning his craft and bringing his novel to life, there are an awful lot of people who can claim to have contributed in one way or another. But does that mean you have to put them all in your acknowledgements? No. In fact, you should only ever put in people you want to include. There will always be a select group that you feel contributed significantly and really made the completion of any given book possible. Those are the ones you want mentioned in your acknowledgements page. Everyone else will just have to accept your in-person gratitude. A well composed acknowledgement page can truly be a work of art; expressing with finesse and sincerity the gratitude for a supportive family, a patient and understanding spouse and kids or a best friend who saw the writer through difficulties so that we can glimpse a bit of the author’s life. At their best, acknowledgements also have the potential to be finely-wrought short stories with the author as protagonist. Here are a few standard guidelines authors could follow while writing their acknowledgement page. 1. An acknowledgement page should be one page in length. If it goes over one page, revise or rewrite it so it can fit on one page. A two-page acknowledgement is too long and runs the risk of making the reader lose interest. Short and sweet works well on the acknowledgement page. 2. Before you get started, take a few minutes to review other acknowledgement pages. Pull a few books off your bookshelf or take a trip to your local bookstore and get a feel for the way they’re written and the content you’ll need to include. 3. Don’t include too many people in your acknowledgements. Authors need to be careful not to be too elaborate in their acknowledgements and appreciation for fear that someone may feel left out or offended. Include those closest to you and the project – the others will understand. 4. Be sure that the person you are thanking is comfortable with his assistance being acknowledged publicly. This could be in case someone granted you unusual access to particular records or exhibits and bent some rules doing so. A public thank you could make for an awkward conversation with that person’s boss and hence a personal thank you note would be more appropriate here. 5. Make sure you spell names correctly. It’s more than a little ironic to misspell the name of someone who means so much to you. 6. Have a third-party review your acknowledgements page before it is set in stone. Did you inadvertently leave an important person out? Is it written well? Could it be written better or condensed even further? Family members – Parents, spouse, children, or siblings who supported your efforts while writing the book. Friends – The ones who put up with you in your worst days and did not hesitate to point out the loopholes in your story. Mentor(s) – Thank the people who inspired you and encouraged you to follow your dream. Their contribution to your success is noteworthy and, most likely, invaluable. Sources – Considerate authors use this opportunity to thank the people they interviewed as well as those who carried out research or surveys for inclusion in the book. The Editor – Many authors take a moment to publicly express their gratitude for their editor’s expertise and time in polishing their manuscript. The Illustrator – It’s common to give credit to the illustrator for their contribution to your book. The Publishers – That’s a given! When you’re done, you’ll have a well-written acknowledgements page that gives credit where credit is most definitely due – to the people who helped you make your book possible. An oxymoron is a rhetorical figure of speech in which seemingly contradictory terms appear side by side. Writers often use oxymorons for a dramatic effect or to call attention to an apparent contradiction in the narration. They may also be used to add flavor to one’s speech or in an attempt to be cynical. On occasion. they also serve to make one stop and ponder. Interestingly, the word oxymoron itself is derived from two Ancient Greek words oxus meaning ‘sharp’ and mōros meaning ‘foolish’, thus making the word itself an oxymoron. English oxymorons are rather humorous at times, given the absurdity of the pairings. Here are a few that caught our attention. Seeing oxymorons used in context often helps to provide a better idea of how and why they are used. Here are a few well-known sentences and quotations that make use of oxymorons.